TOPS is a six-level primary course that builds enthusiasm for learning English and ensures success for both students and teachers through motivating exercises and activities. Creative lessons present thematically linked vocabulary, the four-skills, a values curriculum, as well as songs, chants and games. 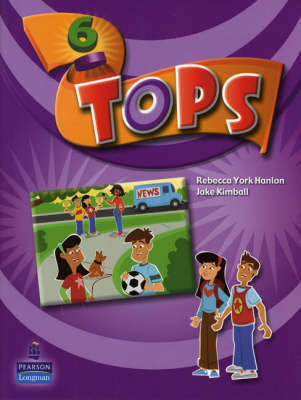 TOPS motivates students with interesting readings and a thought-provoking values curriculum. TOPS supports teachers with step-by-step lesson plans including extra activities, a ready-to-use assessment programme and an end-of-unit game that encourages students to have fun with language.